Born in 1942 in New York, USA, Bruce M. Sherman began working with ceramics after retiring from dentistry and creates both functional and decorative pieces. Each of Sherman’s works is defined by levity and unique character and is the product of improvisation. His passion for his medium is evident – “in working in clay, one communes with other works that have been fabricated and exist over hundreds and thousands of years”. Since holding his first solo exhibition in 2015, Sherman has exhibited at many major galleries around the world. 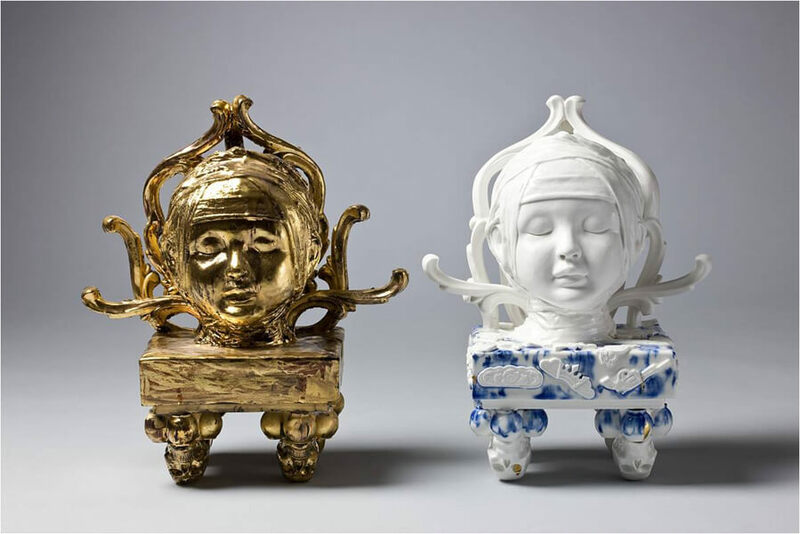 Born in 1986 in Seoul, South Korea, Yun Hee Lee’s ceramic works are a juxtaposition of fairy tales, fear, anxiety, and desire, often combining Western literature with Eastern ceramic techniques. Through being drawn to stories with happy endings in which the protagonist is able to overcome difficulties and find peace, Lee’s resulting works are typically colourful scenes and figures in porcelain including intricate patterns – much like the complex patterns which can be seen in bingo Canada. Lee has exhibited in London, Shanghai, and Hong Kong. Born in 1976 in Poland, Aneta Regel now lives and works in London, England. Regel’s works are unconventional, anthropomorphic sculptures inspired, almost in equal parts, by human figures and nature. Often autobiographical and outlandish, Regel aims to communicate phases of metamorphosis, conflict, and the passing of time through her pieces and often incorporates other materials besides clay. Her pieces are typically fired several times and she’s been known to include volcanic rocks and feldspars in her creations. Born in 1988 in Colombo, Sri Lanka, Ramesh Mario Nithiyendran now lives and works in Sydney, Australia. Nithiyendran’s unconventional figures and totemic sculptures aim to explore organised religion and sexuality and are often finished with human hair, fake teeth, spray paint, and resin. Drawing on his Christian and Hindu background, Nithiyendran takes a philosophical approach to his work and believes that the many histories associated with the materials allows one to engage with the past, present, and future. 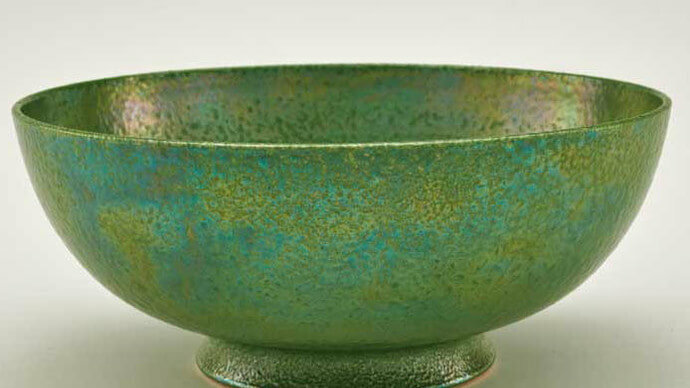 His approach is made even more unusual by the fact that he’s developed some unorthodox practises such as creating separate pieces which are assembled after firing. Born in 1978 in Ngobozana, South Africa, Andile Dyalvane now lives and works in Cape Town, creating large-scale hand-built lamps, tables, and other furniture. Through embracing the natural elements of earth, water, air, and fire, Dyalvane’s works are characterised by intricate surfaces with incised shapes inspired by Xhosa traditions such as scarification.